Today I reviewed two coloring app for kids: ARtists: Color book Painting by High Solutions and Color Quest: An ARt Adventure by Stayhealthy. Both of these coloring apps are for iOS (iPhone and iPad) and both support augmented reality. Keep in mind that there are in-app purchases, so not all of the content is free by default. In the first app ARtists: Color Book Painting you can paint on a 3D model either in standard mobile view or in augmented reality (AR). You tap segments in the model and that segment will be painted using the color of your choice. You can enlarge and rotate the 3D model as you find fit. The second app, Color Quest: An ARt Adventure is a coloring app for kids with educational value. You get some facts about human organs and healthy fruits and unlock more characters as you play. You also get to answer a quiz in order to continue your adventure. 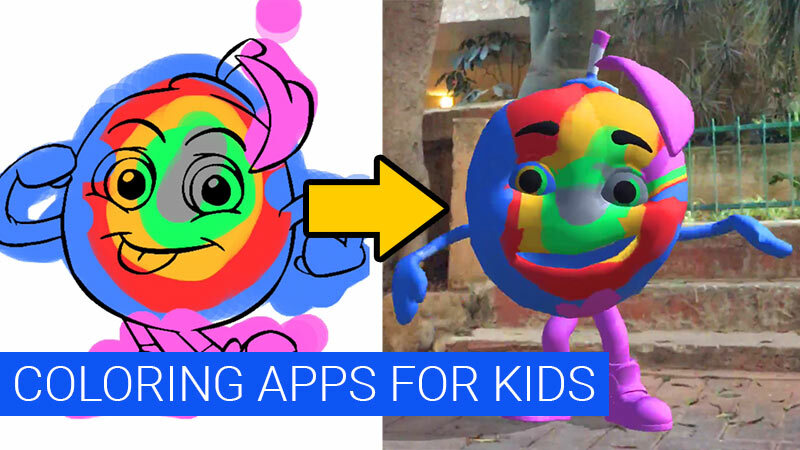 This coloring book app is very intuitive, in a way that the coloring is done in 2D, but children have the option to bring the painted character to life in 3D in augmented reality in the real world. I personally prefer things being all in AR, but the controls in the first app where unintuitive, whether in the second app the controls are very simple and kids are already familiar with the native touch gestures. With a simple swipe, you can paint the image and then with a single tap you bring that character to life in mixed reality. I recommend trying both, after all, they are free. You can download ARtists: Color Book Painting from here and Color Quest: An ARt Adventure from here.